Here at The Health Hub, we have a friendly and diverse team of experienced registered psychologists and provisional psychologists. Our psychologists have extensive training and experience in assessing and treating a wide range of developmental and mental health concerns across the lifespan. Their focus is to provide you with tailored service and care according to best practice standards. You can learn more about the psychologists in our team by checking out their individual profiles. At The Health Hub, we understand the importance of a child’s relationships and other experiences within the family system. We also recognise how a child’s behavioural and emotional difficulties can impact their family members. Our belief is that with the right family supports, children can make change in their lives to meet their potential and grow into healthy and happy adults. While the teenage years can be full of exciting changes, our team of psychologists understand the many challenges and concerns you and your child may face during the teenage years. From changing hormones and a developing body image, to increased pressure to fit in, big emotions that can make it difficult to think rationally at times, increased work load and pressure to get good grades, and many of those ‘scary’ life-changing decisions such as choosing a university or a career path. Our psychologists can provide your teen with tailored psychological therapy for a variety of emotional, behavioural and mental health concerns including anxiety, depression, self-harm and suicide, friendship difficulties, bullying, school refusal/ disengagement, and low self-esteem. Our Psychologists will match your teen’s needs and work with them closely to achieve real and lasting change. They will help your teen to find solutions that are right for them and can be transferred into home and school. At the Health Hub, we have psychologists who specialise in assessing and treating a range of mental health concerns in adults including anxiety, depression, self-harm and suicide, anger management, grief and loss, and difficulties related to complex trauma. Our psychologists can also offer relationship and family counselling. They will work closely with you to help experience changes more efficiently and effectively. To see one of our psychologists, you do not need a referral. You are welcome to just make an appointment either online or by phone. However, if you are eligible for a referral from a doctor, you may be entitled to a Medicare rebate for appointments. We are happy to provide you with further information about the referral process, or you can ask your GP. 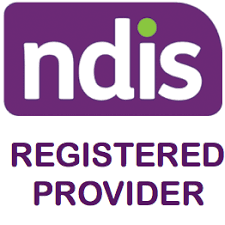 We are an NDIS registered provider and have established many partnerships with other funding organisations over the past 10 years. To make an appointment with our Child Counselling Psychologists Brisbane, call us today 07 2890 7033 Or contact us by filling this form.